The 2018 National Conference on Ending Homelessness will welcome 1,200 participants to Hamilton, Ontario November 5th to 7th. With 77 concurrent sessions and workshops in six streams delivered by over 200 expert presenters, this year’s program is rich with content from a rapidly growing body of knowledge on ending homelessness. 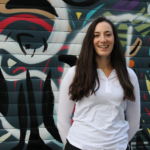 In this guest blog Elisa Traficante from Raising the Roof previews her presentation on the Upstream Project. Back in 2015 Raising the Roof dramatically re-designed the organization’s strategic directions to focus on the prevention of homelessness. In doing so, we began to look for international examples of homelessness prevention. We were delighted to learn about the promising results of a school-based model of homelessness prevention in Geelong, Australia. The Geelong Project is based on an innovative COSS model (‘community of schools and services’), created by Dr. David MacKenzie. 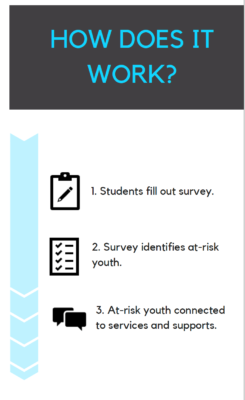 This model represents a suite of innovations to create an effective system of early intervention for youth at risk of school drop-out and youth homelessness. With 8 years of experience, The Geelong Project has reduced school dropout by 40% and reduced youth homelessness by 40% (McKenzie, 2018). In 2016 Raising the Roof partnered with A Way Home Canada and The Canadian Observatory on Homelessness to execute a demonstration project of the COSS model here in Canada, called The Upstream Project, in order to develop proof of concept in the Canadian context. Working closely with community agency and school board partners in two communities (The Raft and District School Board of Niagara in Niagara Region, ON; 360°kids and York Region District School Board in York Region, ON) we have successfully completed our pilot project. We executed the COSS model’s population screening tool with 3,300 students, identifying 500 as at risk of school dropout and/or youth homelessness. We are proud to report that our agency partners have provided early intervention case management support to 123 school students across our two communities. Dr. MacKenzie and I are honoured to present at CAEH18 in Hamilton, ON. To learn more about the COSS model, The Geelong Project results, and The Upstream Project pilot evaluation, please join our session AWH4: School Based and Early Interventions presentation on Tuesday Nov. 6th, 2018. For more information on the 2018 National Conference on Ending Homelessness visit our conference website. Join the call for a legislated right to housing in Canada!